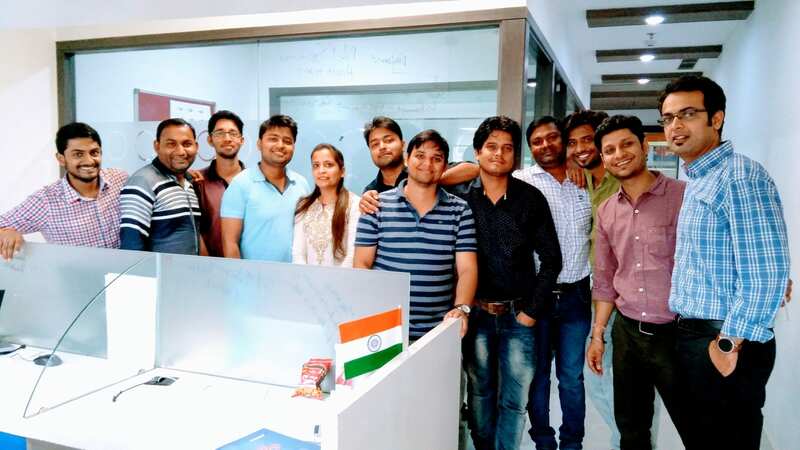 Founded by brothers Tanay and Tapan Dixit, the idea behind Talespin’s conceptualization is as interesting as the solutions that this startup is offering. It all started when Tanay Dixit, Co-founder and Product Head visited a store of top apparel brand to buy a grey tee-shirt. After spending 20 minutes along with the sales assistant, he found that what he wanted wasn’t available in his size. “The outcome of this was that the salesperson felt ineffective at his job, the brand lost out on a sale and Tanay was left disappointed”, says Tapan Dixit, who has worked over 9 years across companies in India. A graduate from Jaypee Institute of Information Technology and MBA in Marketing from Narsee Monjee Institute of Management Studies, Tapan has worked with the likes of Godrej Consumer Products Ltd, PepsiCo and Idea Cellular Ltd, prior to Talespin. This incidence got Tanay thinking about the real problem that existed at stores, who has 6 years of experience in both web and mobile products. He co-founded his first company Senfinance at the age of 20 while preparing for his CFA exam. After a couple of stints with startups, he founded Talespin, which by far is the most audacious and innovative product that he has helped in building. “Brands spend millions getting customers to stores but there is no proper hand holding process at the store and, the customer experience is inconsistent. In-store selling has not seen any technological innovation for years”, says Tapan. This is how Talespin was born – with the intent to forever change the in-store shopping experience. Founded in 2016, Talespin works as a plug and play solution for retail brands enabling them to leverage advanced technologies to increase customer conversion. 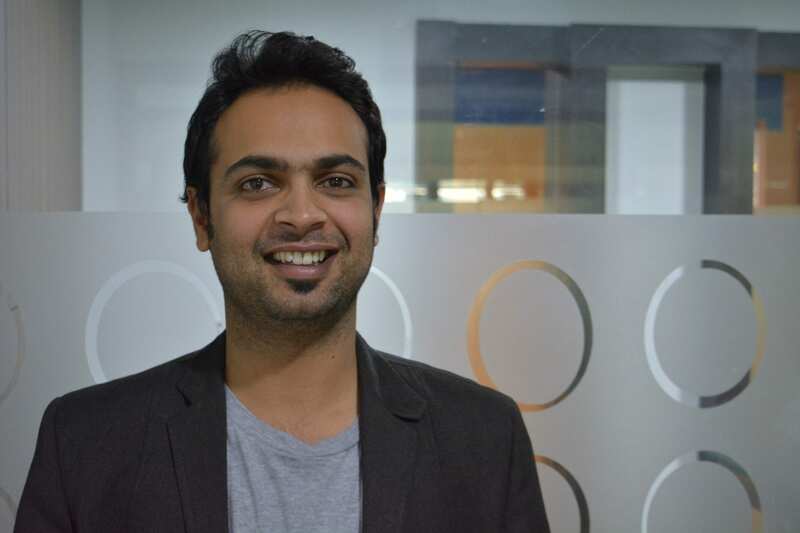 “With its artificial intelligence and deep learning technology stack Talespin is transforming how brands/ retailers interact with customers and vice versa”, says Tapan. Tapan notes that unlike online stores which have recommendation engines tailored to customer’s taste, in-store selling has not seen any technological innovation for years. 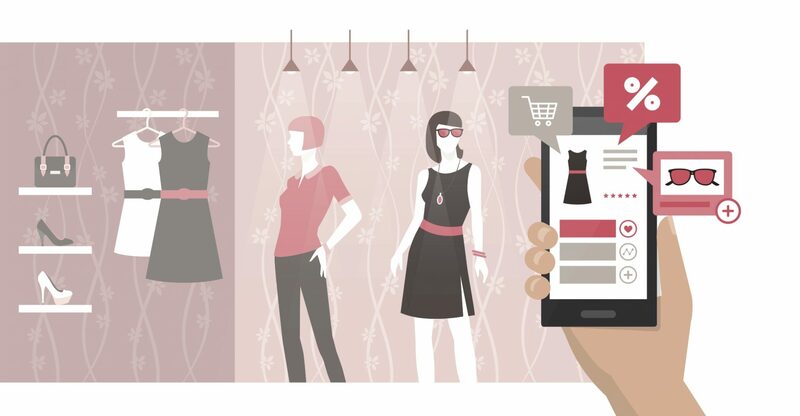 This is where artificial intelligence empowers retailers to offer shoppers with personalized recommendations and ensure customer retention and conversion. The company believes that when a customer visits the store, three core questions must be immediately answered; i.e, “what should I buy?”, “is this available in my size?” and “is there something similar to this?”. This is exactly what Talespin’s technology is offering. “Coupled with information of a customer’s’ past purchases retailers can build an intelligent recommendation engine. The engine uses image recognition and classification built with deep learning libraries”, noted Tapan. Also endless aisle kiosks provide brands a digital extension of their shelf space and ensures that an opportunity to sell is never missed. 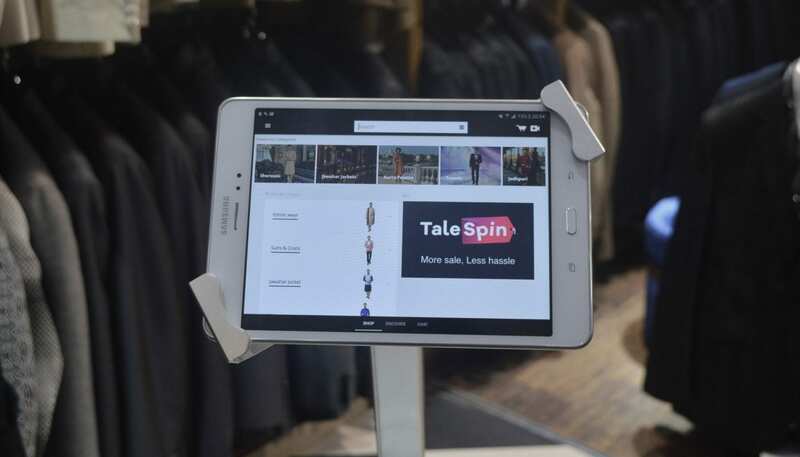 It is allowing the brands to engage with their customers in-store through tablet which gives sales assistants access to a corporate wide view of the inventory. An endless aisle kiosk provides retailers an online extension of their shelf space ensuring that a sale is never missed. Tapan says that as per Forrester’s December 2015 “Customer Lifecycle Survey”, 53% of customers are likely to abandon their online purchases if they can’t find quick answers to their questions. “This is where chatbots can be of great help to brands, where its conversational commerce can contribute immensely in decision making”. Talespin’s chatbot is nothing but an in-store shopping assistant that can help customers with product discovery and can even be made available on the brand’s website and Facebook page. The bot can facilitate multiple purposes— to answer basic customer queries and to serve as a medium for dispersing product information, for new launches, to track orders and to even make a sale. “In terms of product discovery, Talespin provides behavioural analytics and insights based on customer searches and purchases. Brands can figure the navigation path and the item choice sets of their offline customers which is crucial for identifying the items which need to be displayed and enable ease in product discovery”, explains Tapan. That’s not all; the exclusive content on Talespin can also bring the brand to a customer’s attention. It enables the brand to showcase their latest offers, new arrivals and run brand-oriented engagement activities. “Talespin also allows brands to gamify their market research processes – simply ask the customer a series of questions about their shopping preferences and reward them for their responses with a gift coupon”, says Tapan. With the progress of predictive AI, machine learning, big data and cognitive computing, ecommerce and retail have become smarter and more personalized. “Retail businesses have begun testing and implementing different applications of AI to enable more seamless customer interactions.”, he says. Understanding a consumer’s preference remains core to the business, this is where Talespin relies on analytics. “The retail industry is one which still sees registers in store to collect customer information and capture feedback. Currently, we’re focussed on capturing data and making it more user friendly by giving customers incentives to share feedback”, he adds. Currently catering to in-store offerings in the domain of apparel and footwear, it eyes to venture soon into categories such as jewellery, beauty and wellness. On being asked about how successfully it been accepted by customers, he is quick to add that they are now live in 9 stores in Delhi/ NCR, Punjab and J&K, India. “These retail brands have, over the past few months, seen better engagement in-store, a jump in revenue to around 4-6% and an overall improved discovery experience for their customers. Over the next 6 months, we plan to add 20 more stores across India”, he adds. Apart from the plans underway of expanding to newer domains, the company is also planning to venture into new geographies like Southeast Asia and Europe. “We see a better selling use case abroad as compared to India, as the market is a lot more evolved there”, he notes. They are also looking forward to build stronger team of engineers and business developers to ease customer conversion for businesses and enable seamless product discovery for customers. Tapan says that while investors are generally excited about AI, deep learning and chatbots, many remain cautious about leveraging advanced technologies into their businesses and the same applies to retailers in India. It is important to distinguish hype from the fundamentals. “Educating the retail industry of the advantages of leveraging advanced technologies has been a challenge because this industry has not seen any technological innovation for decades. When we visit retail businesses we ask them if they have been able to pursue a personalisation strategy like online businesses have, we always get a pretty resounding “no”!, says Tapan. He notes that the lack of access to reams of data to build solutions for particular use cases is a huge challenge. “Having said that, over time with the increase in the amount of data, we’ve been able to better understand the retail business and in turn, enhance customer’s shopping experiences”. Finding the right talent for AI based roles in India is another big challenge according to Tapan. “People-to-digital assistants and bots is the future we’re leaning towards and it is certain that as this understanding widens we will see a lot more engineers in AI in the years to come”. With plans of creating consumer style profiles which would help brands with better targeted campaigns, the company is quite hopeful about the adoption of advanced technologies in industries and would keep exploiting technologies like AI, cognitive computing and robotics to re-figure the way businesses run, especially the retail industry.